Katie Hopkins Archives - counterjihadwarrior.com - Because Islam will NEVER EVER be a Religion of Peace - rather a barbaric, totalitarian cult, based on fear, violence, intimidation & terror. Back in June of this year, the youth group of the British Labour Party, Momentum, put out a tweet comparing Tommy Robinson to Anjem Choudary and suggesting that they were equally deserving of the contempt of all right-thinking people because they were both guilty of preaching hatred. Surprisingly, Momentum were strongly criticised by some people in the Labour Party who, despite a lifetime of politically correct indoctrination, were still able to determine that there is a difference between a full-on, copper-bottomed, dyed-in-the-wool hate preacher such as Anjem Choudary who has abused our hospitality and our tolerance for far too long, and a counter-jihad hero such as Tommy Robinson who risks his life to shine a light on the evils of a barbaric seventh-century ideology that, left to its own devices, would eventually see every non-Muslim forcibly converted to Islam, enslaved under Muslim rule, or brutally slaughtered in the name of Allah. However, the next few days are likely to see two events that may seem unconnected on the surface but together will have profound ramifications for our justice system, and by extension our government, who appear not to care that the dangerous terrorist-enabling hate preacher Anjem Choudary is due to be released back onto our streets, while at their same time doing their level best to see Tommy Robinson behind bars again, with a process that is likely to culminate in him being murdered in prison. 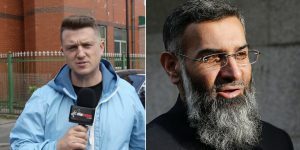 The Rebel Media has started a campaign to keep Anjem Choudary in prison – he was given a prison sentence that was far too short given the treasonous nature of his crimes, and his presence as a free man on the streets of our beloved country is something that we could well do without. 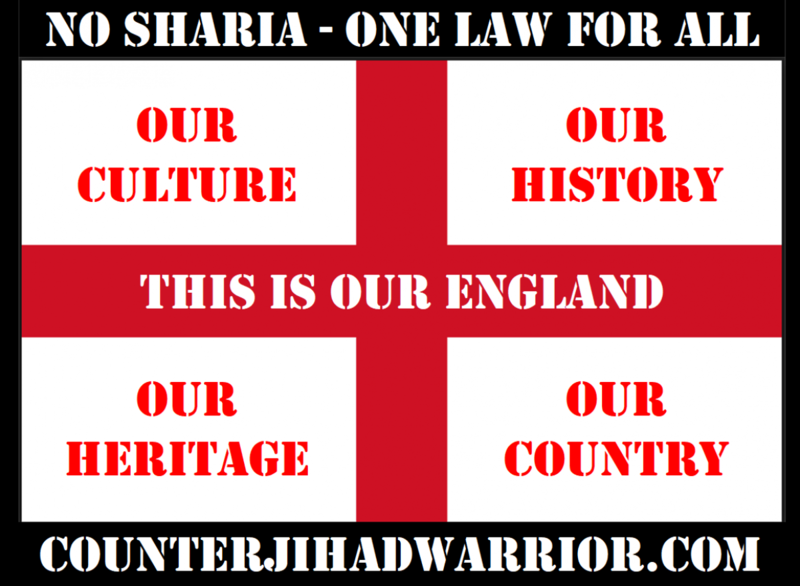 Please sign the petition referred to in the article and contribute whatever you can to the campaign in order to keep Anjem Choudary in the slammer. Also – don’t miss this interview between Tommy Robinson and Katie Hopkins as Tommy describes life in prison and the very real prospect that the government will pull out all the stops to prevent his message from getting out to a wider audience. Finally – I must apologise to the readers of this website as posting has been light to non-existent lately due to my persistent medical problems. One doesn’t wish to bore others with the finer details, especially as it might at the very least put you off your breakfast with the accompanying lurid descriptions of blood and gore, but the good news is that after my latest round of heart surgery I should now be on the road to recovery – and a three to four-month course of Cardiac Rehabilitation should see me bounding around like a Duracell Bunny on steroids, although I don’t think Usain Bolt will have anything to worry about in terms of competition.